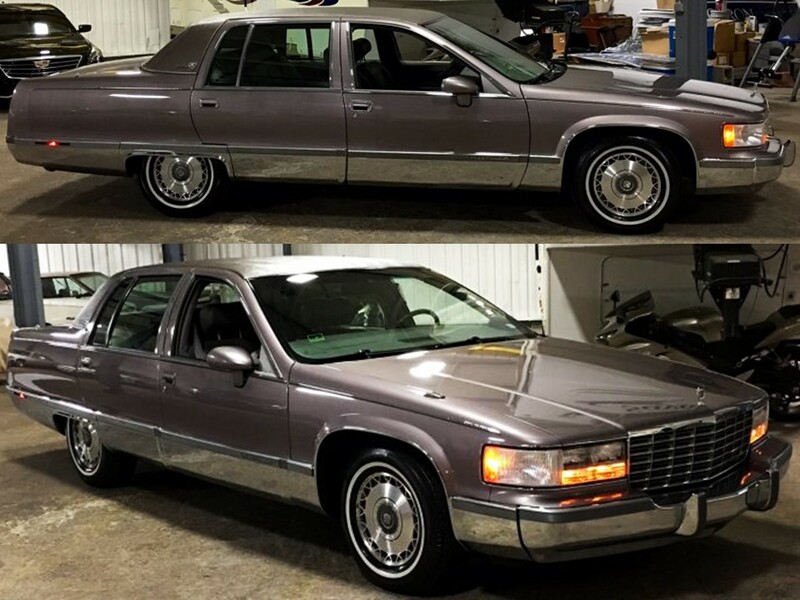 Posted September 4, 2017 by 99MilesPerHour2 Comments on Cadillac Fleetwood Brougham – Contemporary Masterpiece	"As the Standard of the World Turns"
There’s nothing like the traditional full-size Cadillac. 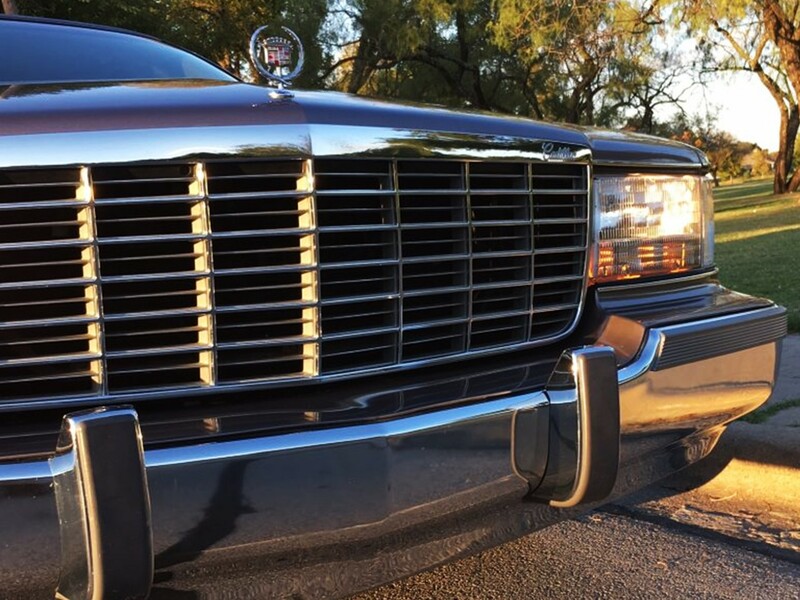 From the admiring glances of envy…to the myriad standard comfort and convenience features and accessories – The stately Fleetwood Brougham was considered the most luxurious owner-driven Cadillac in the model hierarchy. 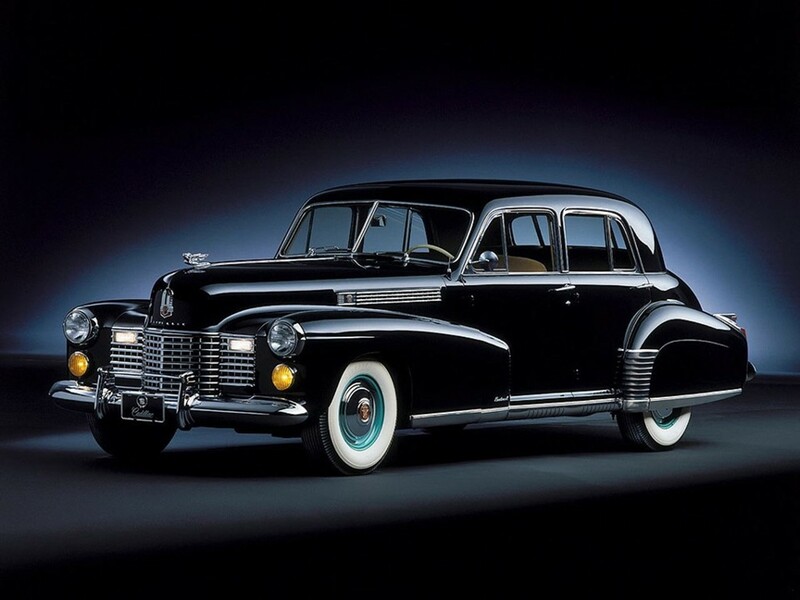 Fleetwood-bodied Cadillacs are the epitome of grandeur with a poised dignity which was the hallmark of every traditional Cadillac motorcar. It’s dramatically styled in its beauty and bearing. 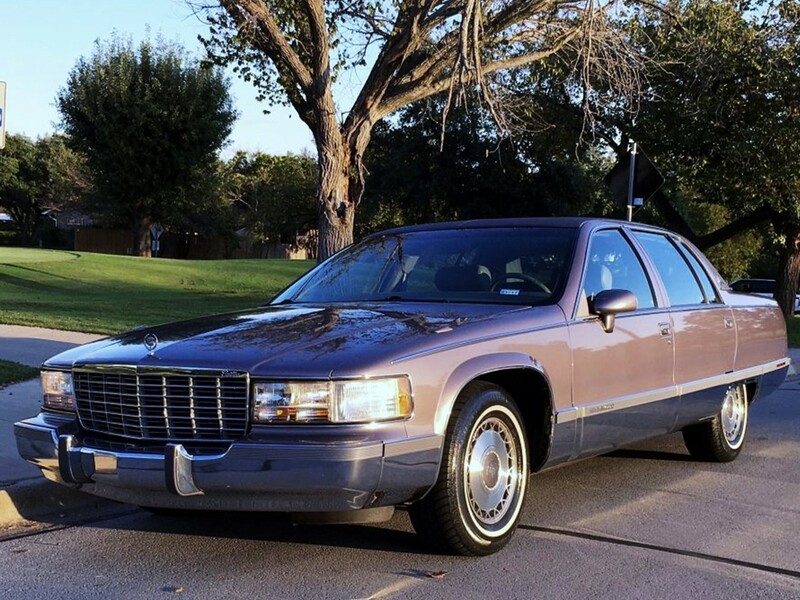 The formidable Fleetwood Brougham is the motorcar that represents the “Standard of the World” in a majestic fashion only Cadillac could create. 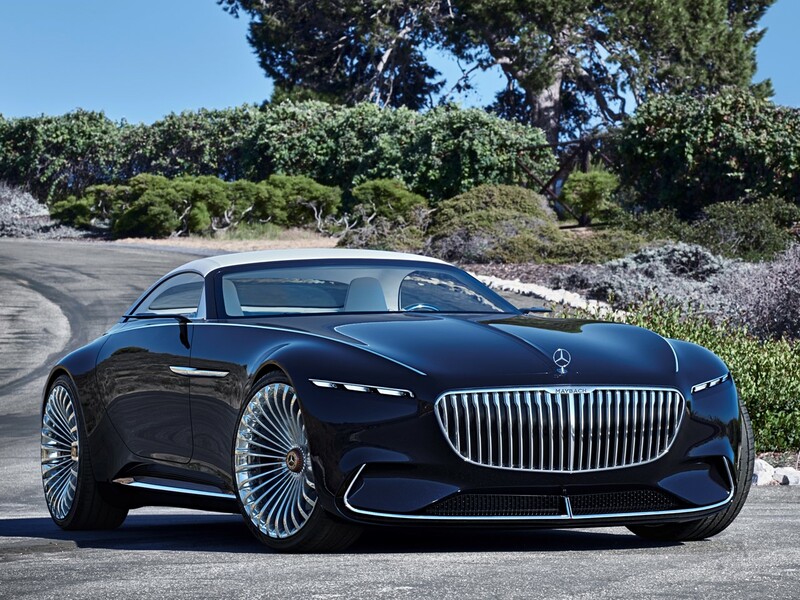 These magnificent automobiles are more inspiring to behold and more rewarding to own than any other full-size luxury sedan. Fleetwood models possess an eloquence and dignity befitting a flagship of its stature. 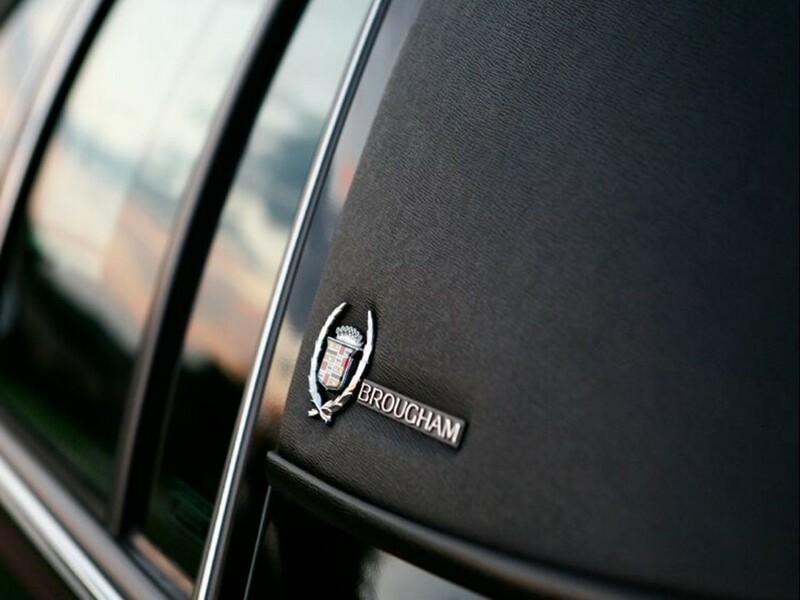 The Brougham augmented the Fleetwood series with elegant appointments and signature features for luxury in the grand Cadillac manner. 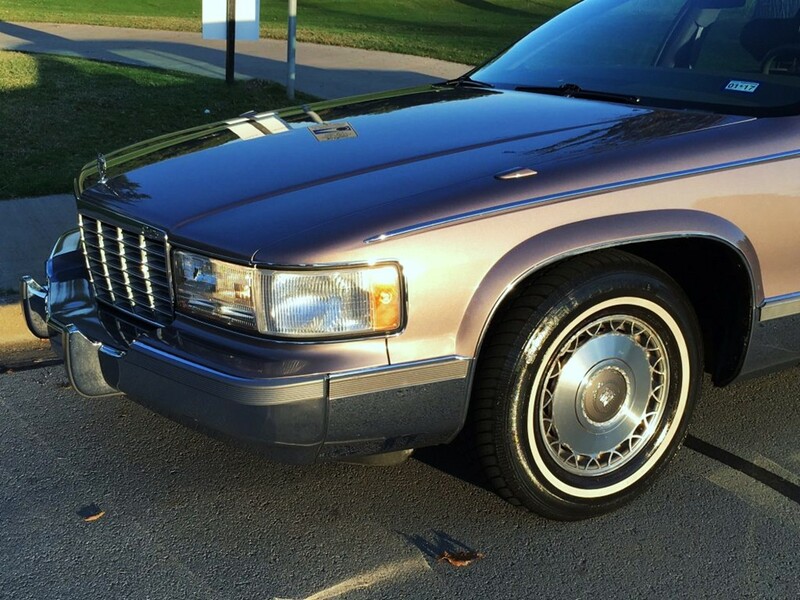 The 1994 Fleetwood Brougham carried on the tradition with glamour and distinction. 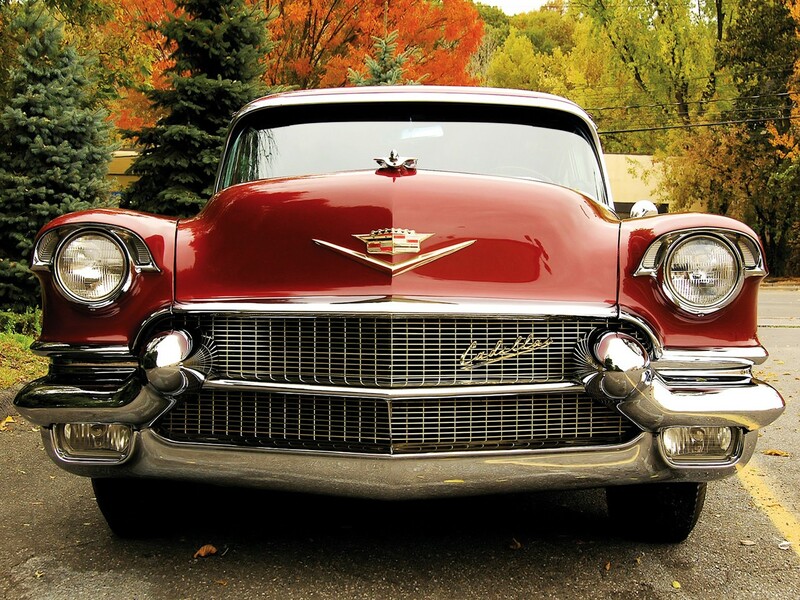 Cadillac Fleetwoods remain America’s most aristocratic automobiles. 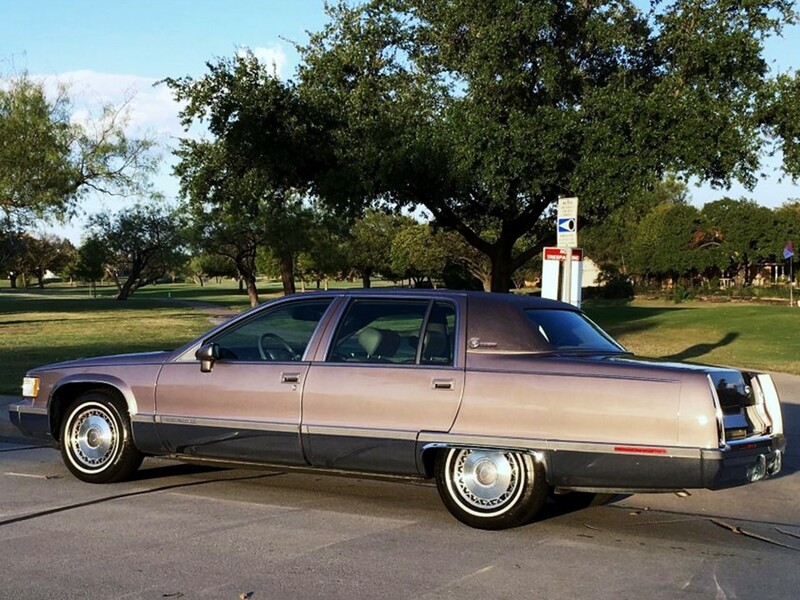 The gracious proportions of Fleetwood Brougham’s traditionally-inspired architecture evoke thoughts of the days gone by when we had the choice of a ‘real’ full-size luxury sedan…and a Cadillac – all in the same car. 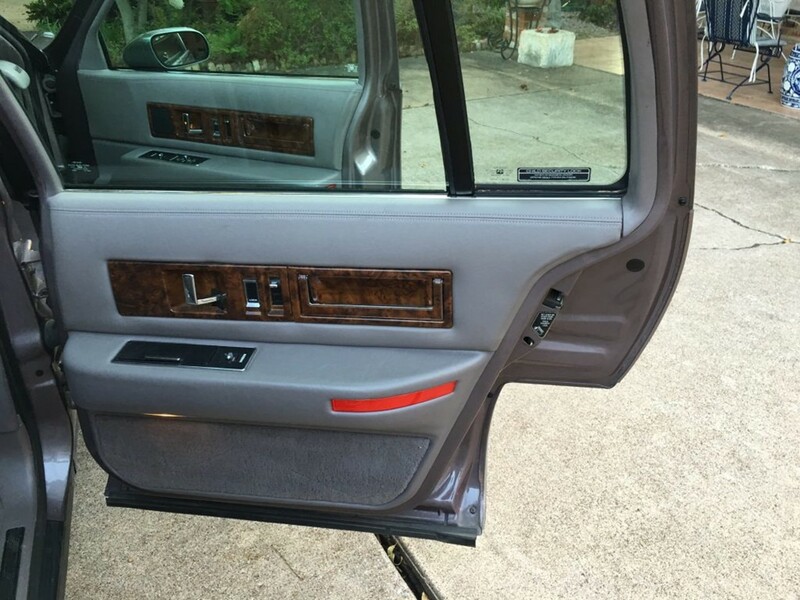 Fleetwood Brougham’s tall, extra-wide doors provide easy entry and exit. 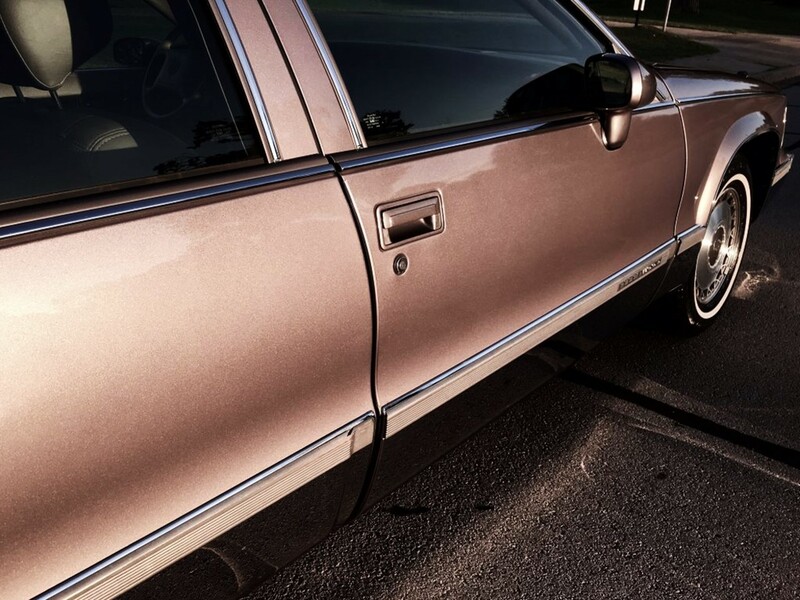 Sweeping fender lines flow systematically enhancing aerodynamic efficiency…the EPA rated the 1994 Fleetwood Brougham as 25 mpg highway. 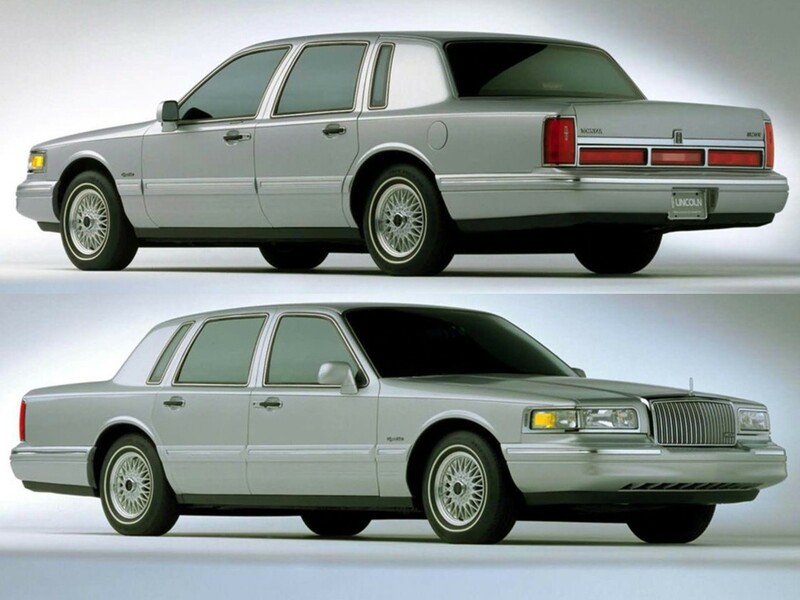 The 1994 Fleetwood Brougham goes to great lengths to satisfy the most discerning driver. 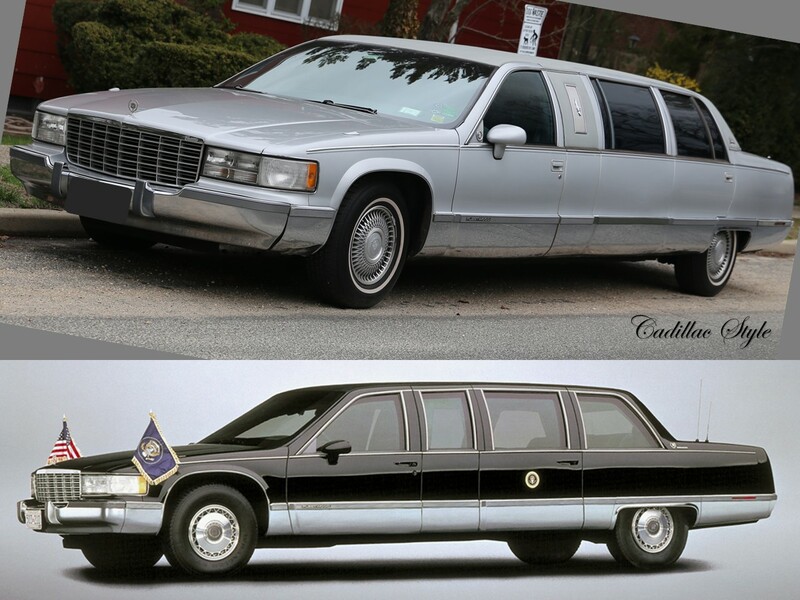 Its luxury length of 225.1” is even longer than that of the 1994 Lincoln Town Car’s mere 218.9” length. 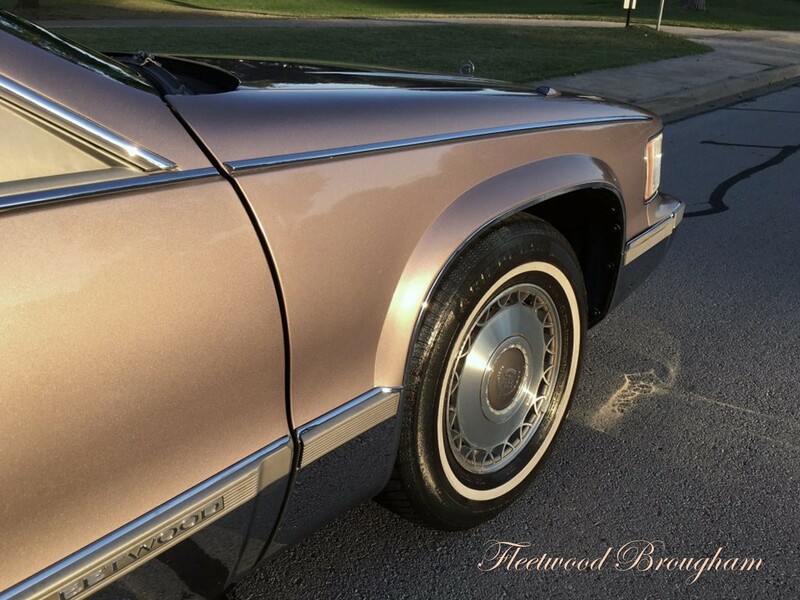 Fleetwood’s wide 78” stance beats the Town Car’s 76.9” width proudly. 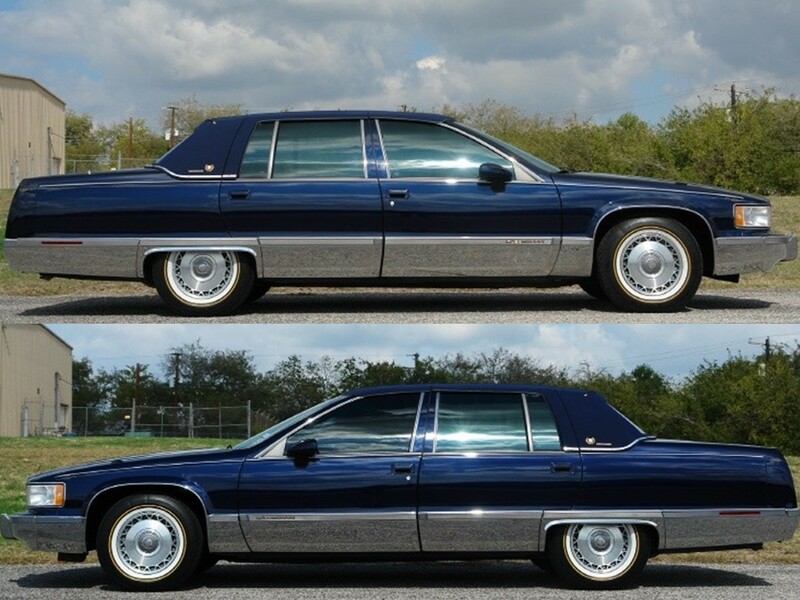 Fleetwood Brougham rides upon a long 121.5” wheelbase compared to Town Car’s 117.4” wheelbase. 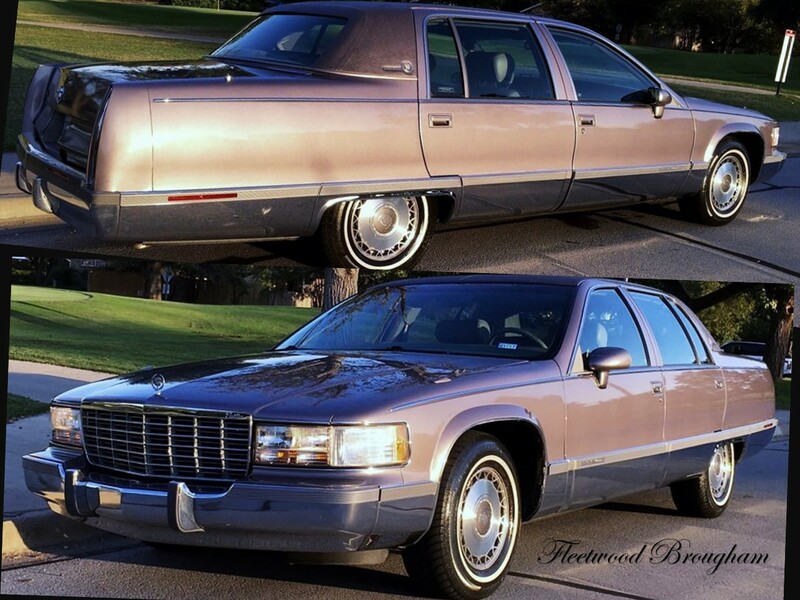 Fleetwood Brougham’s 57.1” height beats that of the Town Car at 56.9”. 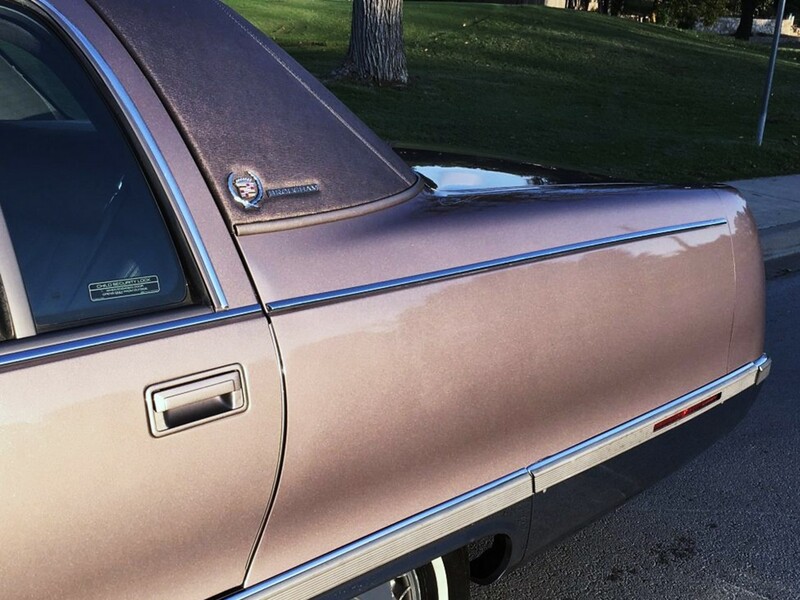 So you see…the Fleetwood Brougham and its poised dignity is eminently qualified to carry the title of America’s largest production passenger automobile for the 1994 model year – Cadillac Style! 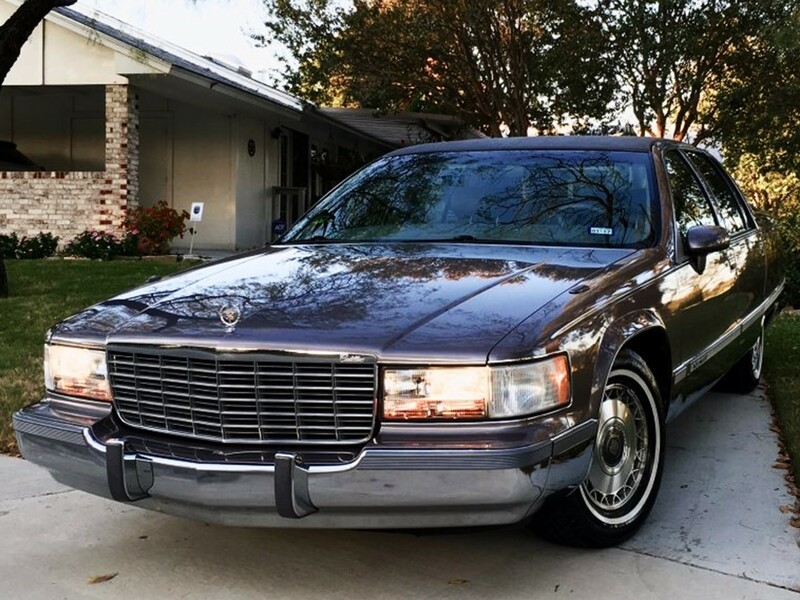 With its full-size luxury, excellent road manners, and Cadillac elegance…the 1994 Fleetwood Brougham is traditional splendor that one had come to expect from the brand. 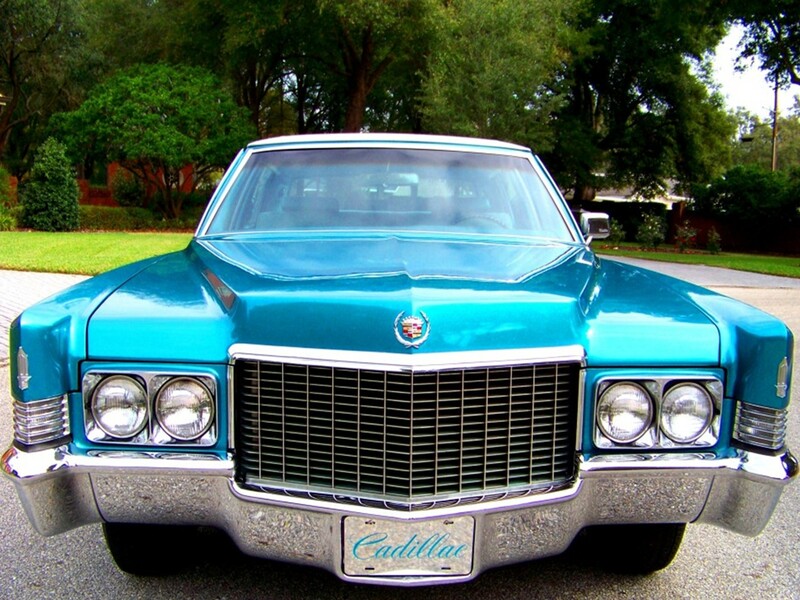 The last of the Fleetwoods are big and beautiful from bumper to bumper. 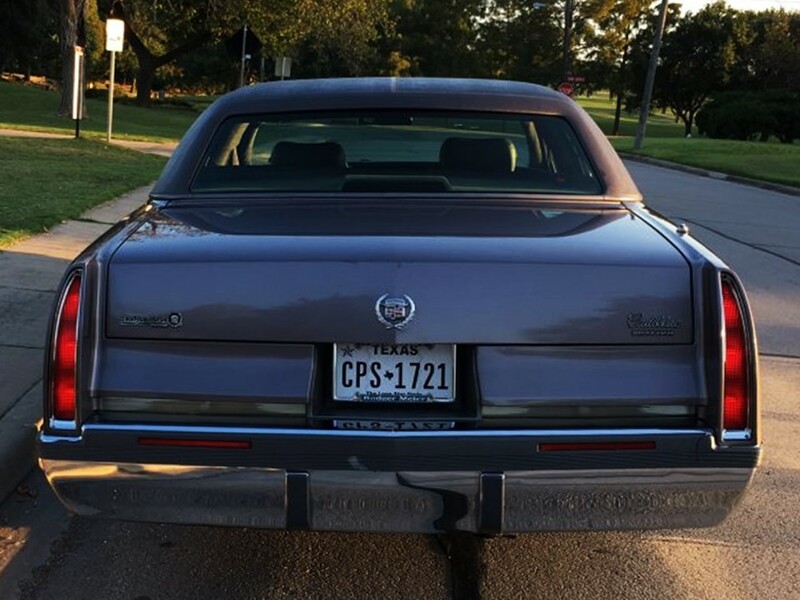 Their substantial body on frame construction is configured as front engine rear-wheel drive – as a true Cadillac should be. Fleetwood could be compared to a luxurious club room on wheels. 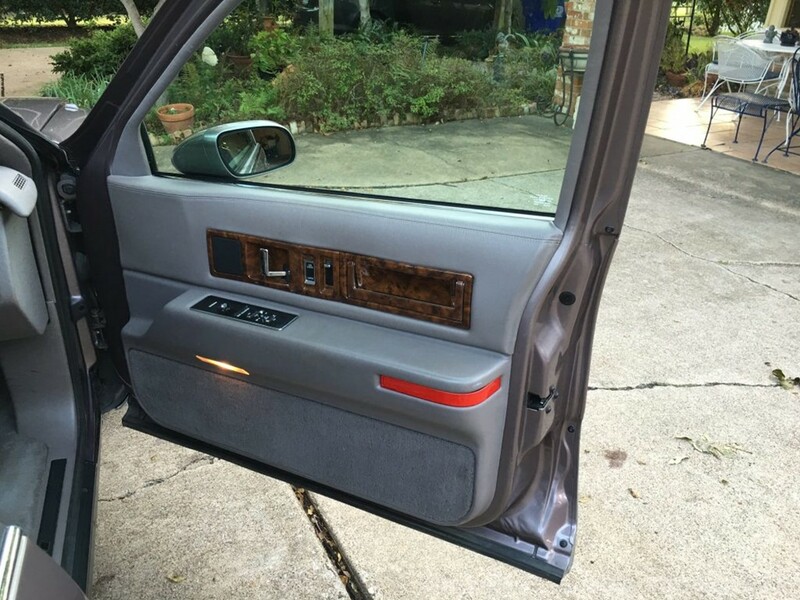 Its spacious cloth or leather trimmed cabin was available in two distinctive trim levels. 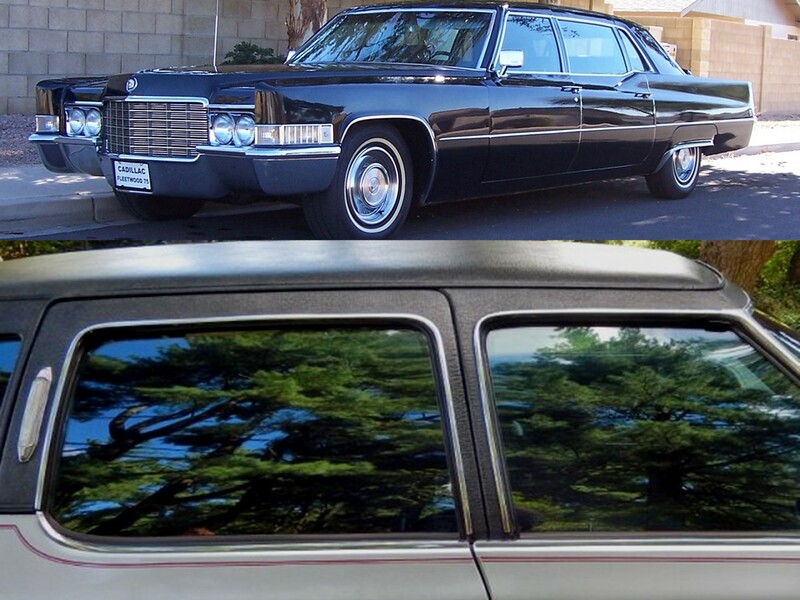 The standard Fleetwood sedan base priced at $33,990 – $34,615 is augmented by the optional “Brougham” luxury package. 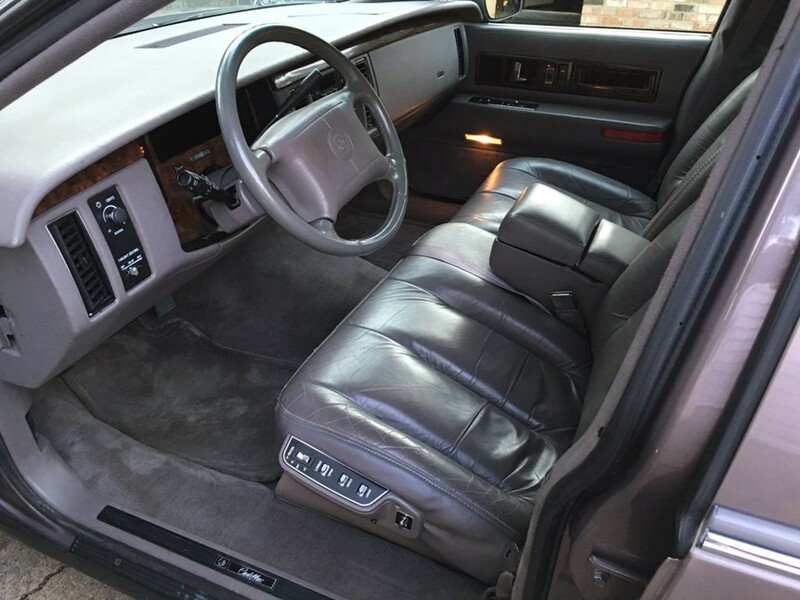 The Brougham option upholstered with Prestwick knit cloth was $1680 while the leather trimmed version was $2250. 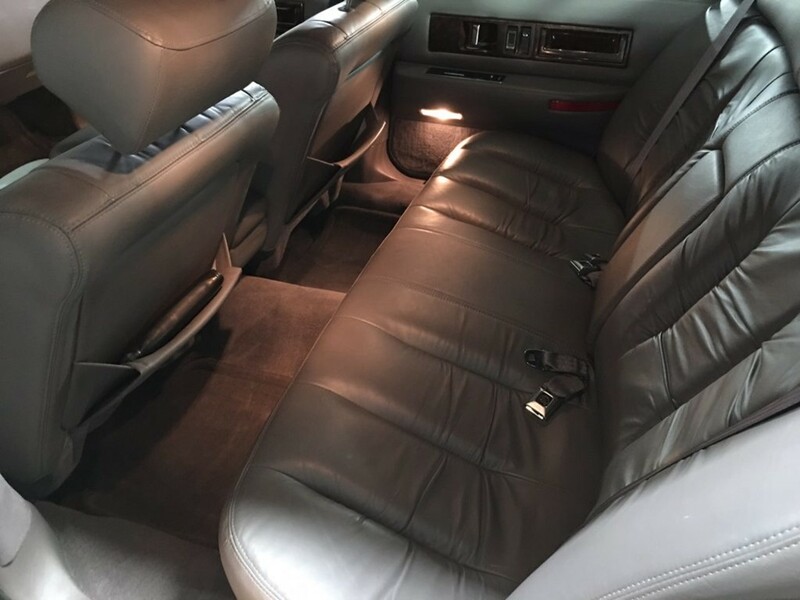 This exclusive luxury package has a different seat cushion sew-style and upgraded appointments than the standard Fleetwood sedan. 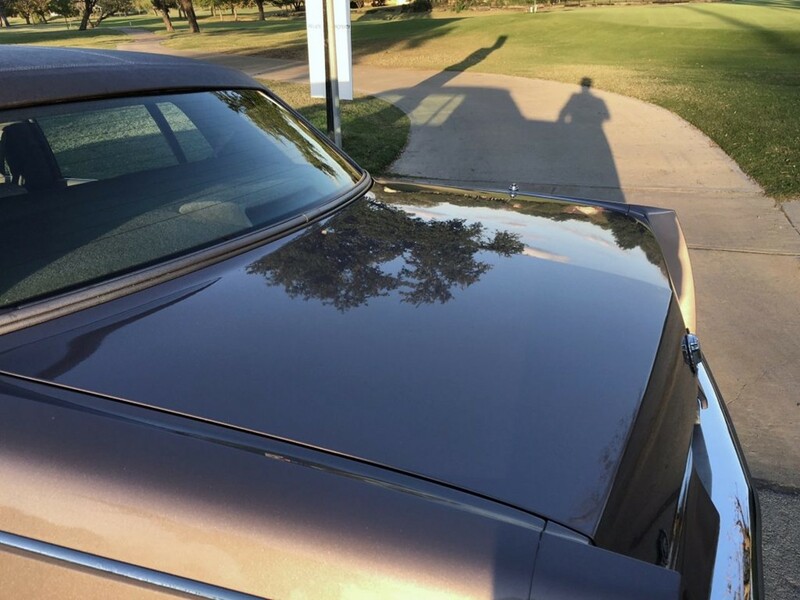 The exterior is highlighted with a luxuriously padded vinyl roof treatment with “Brougham” nomenclature affixed to the rear sail panels. 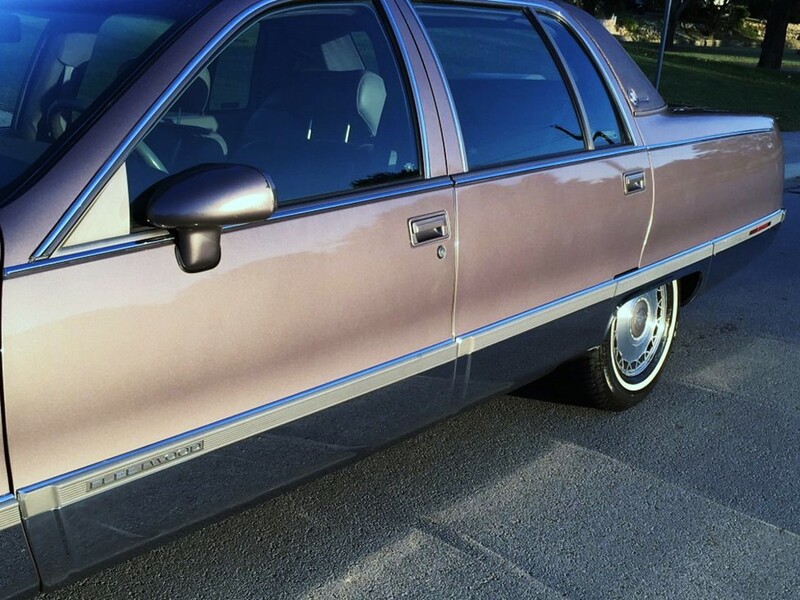 This deftly identifies it as Cadillac’s most luxurious owner-driven sedan. 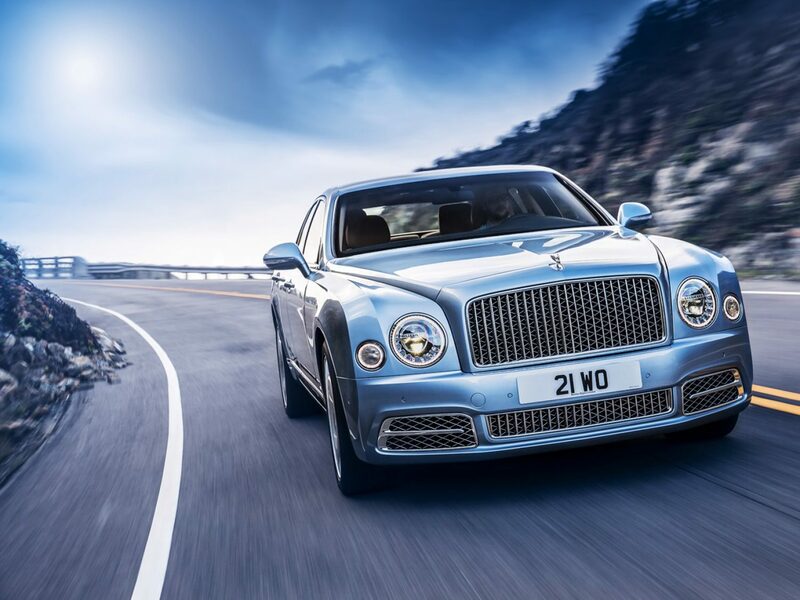 No other motorcar in its class can replicate the grandeur and dignity this supreme achievement in motoring offers. 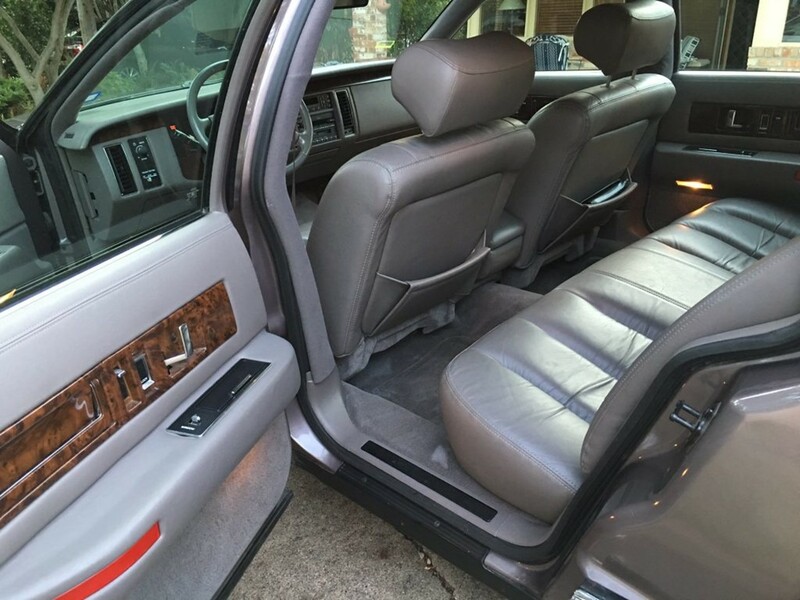 Passengers are ensconced in traditional 6-passenger comfort. 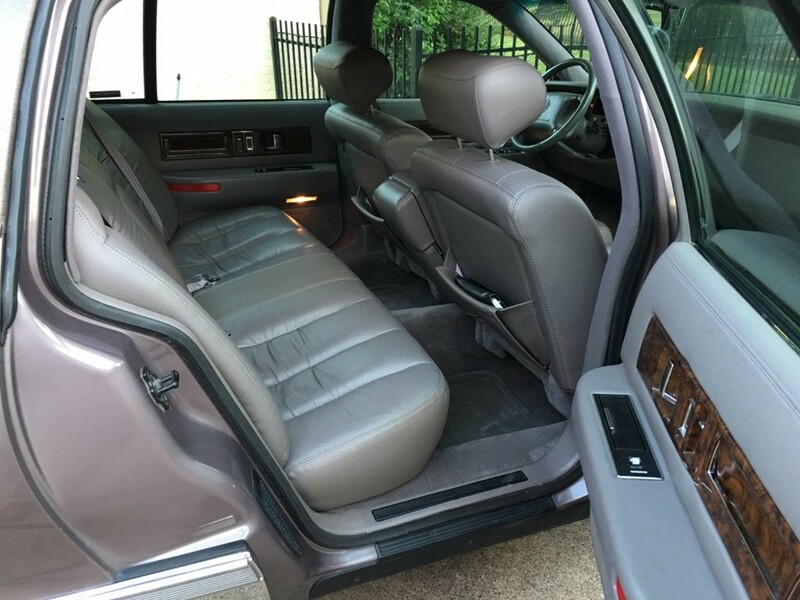 There’s room to stretch out with nearly 5′ of shoulder room. It has 38.7” of headroom available for front seat occupants and 39.1” for the rear passenger compartment. 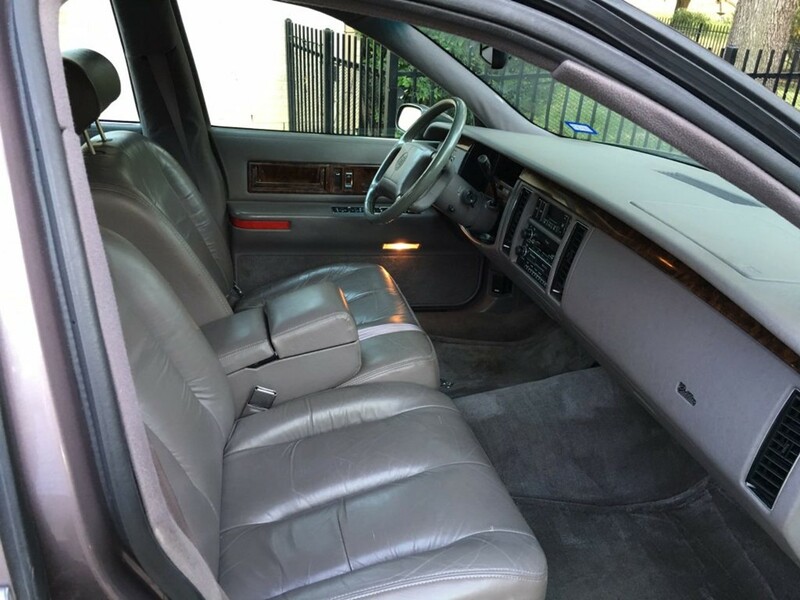 Fleetwood Brougham provides 42.5” of front seat legroom and 43.9” for rear seat passengers. Classic “Standard of the World” creations do not have to scream achievement…they simply whisper success. 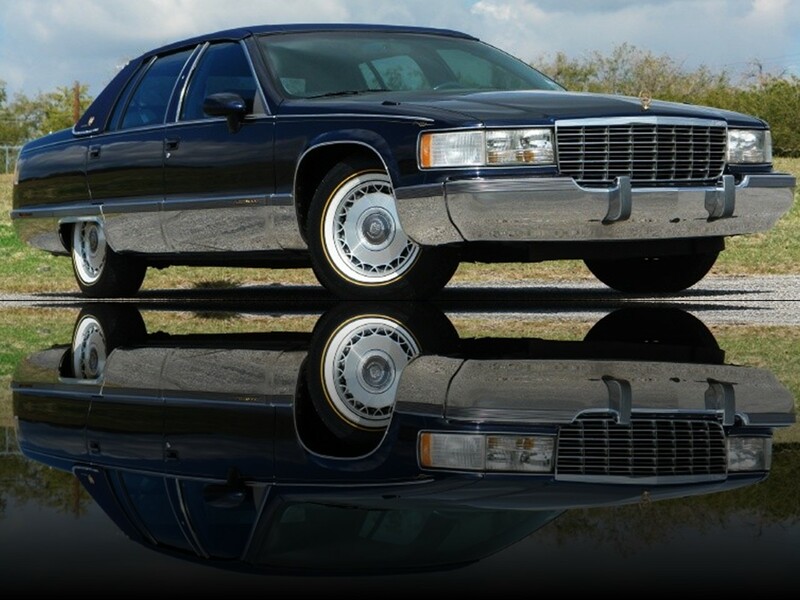 Fleetwood Brougham is renowned for legendary Cadillac comfort and convenience. 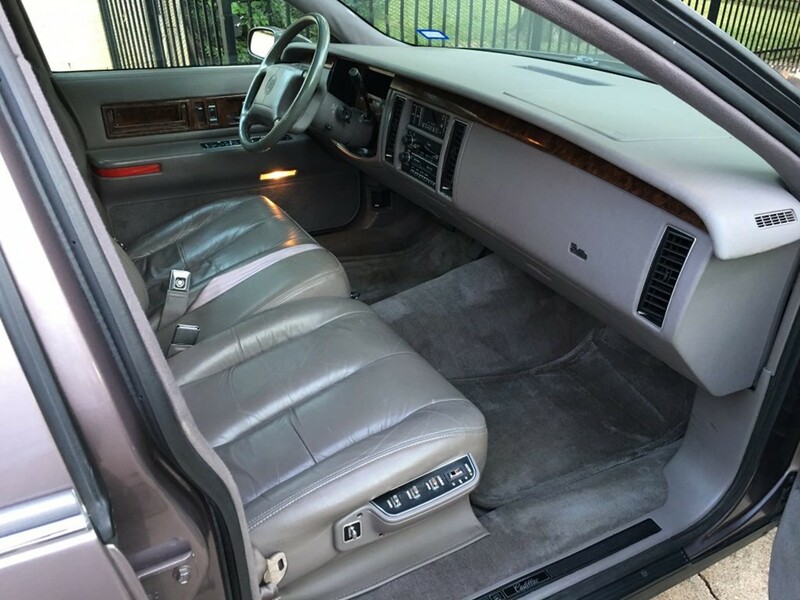 And…if Fleetwood Brougham’s spacious dimensions aren’t enough to prove its superiority in the luxury car segment, its impressive list of standard amenities will. Electronic components are bestowed throughout its svelte architecture. 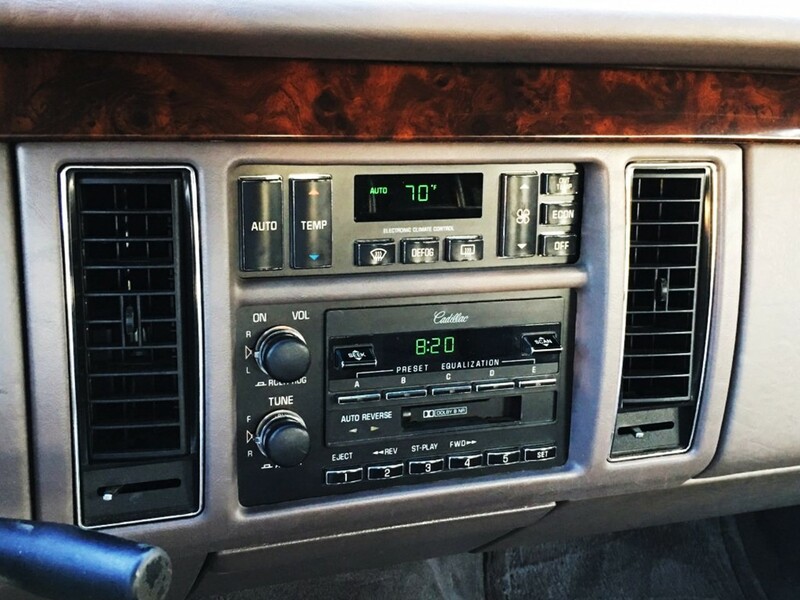 All season Electronic Climate Control Air Conditioning maintains optimum cabin comfort year-round. Once the temperature has been set no further intervention is required. 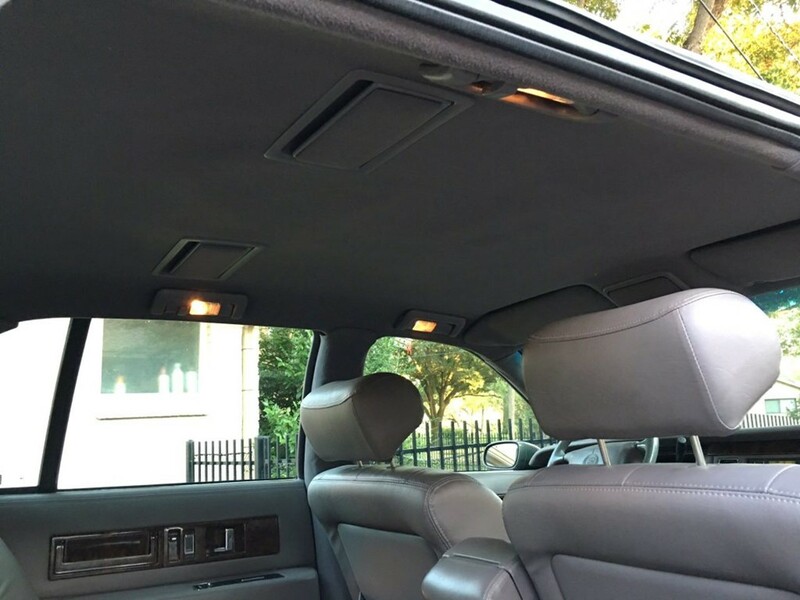 This sophisticated system includes rear compartment heating/air conditioning ducts. 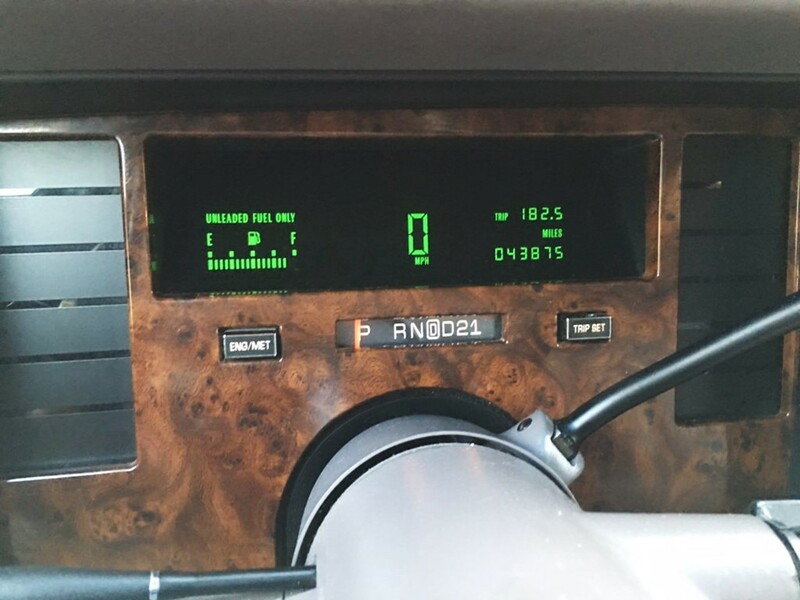 Power windows with ‘express down’ feature, power door locks, Cruise Control, Tilt Wheel adjustable steering wheel, and digital instrument cluster are the more basic amenities. 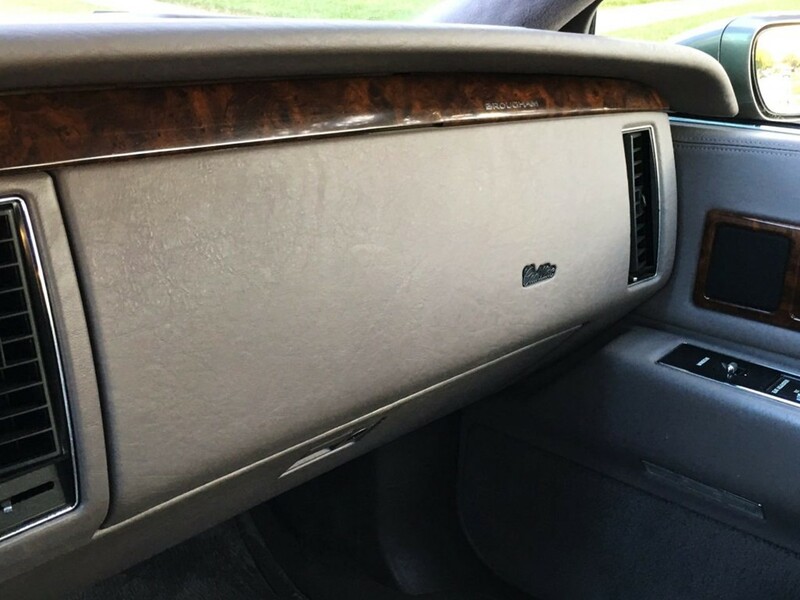 For the 1994 model year, Fleetwood Brougham’s signature features include: driver’s memory seat, manual articulating head rests, power triple-element lumbar controls, illuminated rear seat overhead vanity mirrors, heated front seats, rear seat folding center armrest with dual cup holder and storage. Still undecided? Additional standard amenities include: Twilight Sentinel electronic headlamp control, Solar Ray tinted glass, controlled-cycle windscreen wipers, Illuminated Entry System, Power deck lid release with pull-down feature, illuminated driver and front passenger visor vanity mirrors, power 55/45 6-way front seating w/power 2-way recliners, power heated right and left outside rearview mirrors, Pass Key II theft deterrent system, as well as power assisted steering and brakes. What do these two cars have in common? 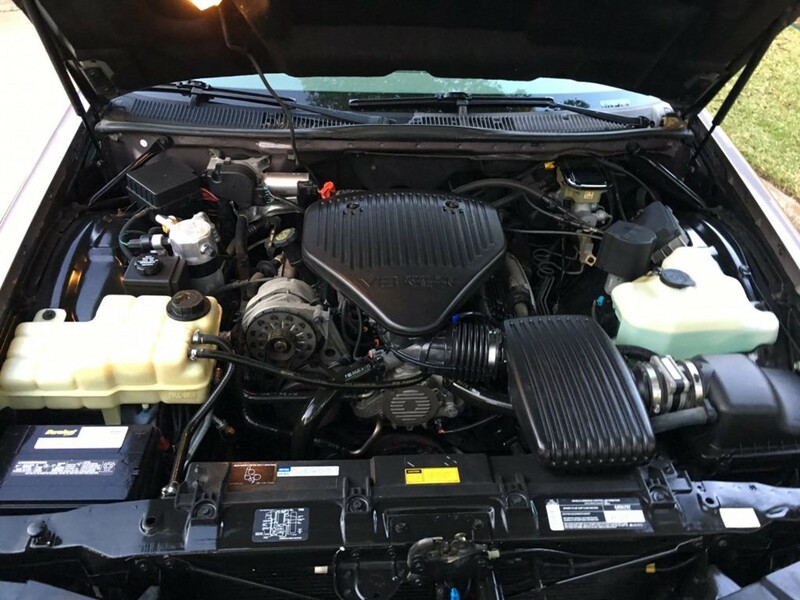 The powerful new V8 is mated to the 460L-E GM Turbo Hydra-Matic 4-speed automatic transmission with electronic shift control, overdrive, and torque converter clutch. Engine and transmission are synchronized into a single synchronous power train unit for optimum efficiency. The unique power train combo provides greater horsepower and more torque at lower speeds thus yielding quicker, more confidant acceleration. 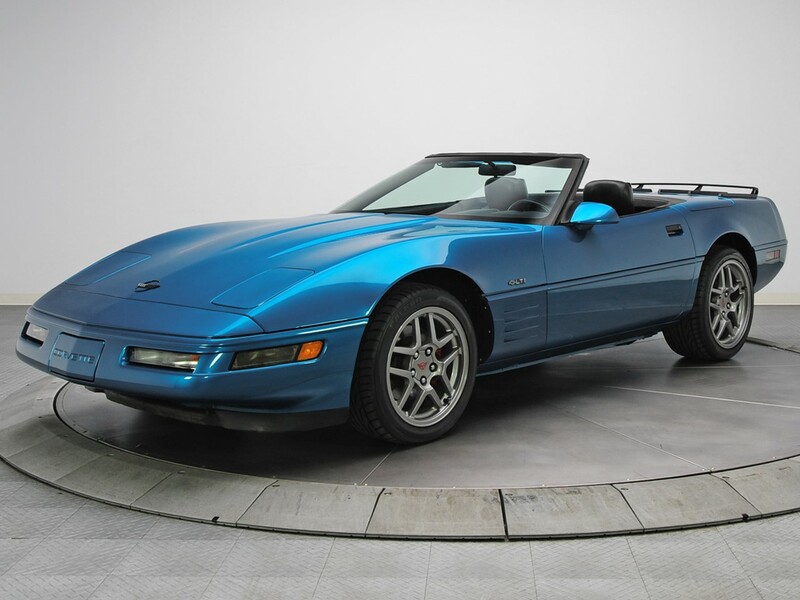 The formidable 5.7 litre LT1 cranks 260 hp @ 5,000 rpm with 454 Nm of peak torque @ 2,400 rpm. Longitudinal acceleration is rated as: 0-60 mph in 8.5 seconds, 0-100 mph in 22.6 seconds with a top speed in the 142 mph range. Impressive for a luxury sedan huh? 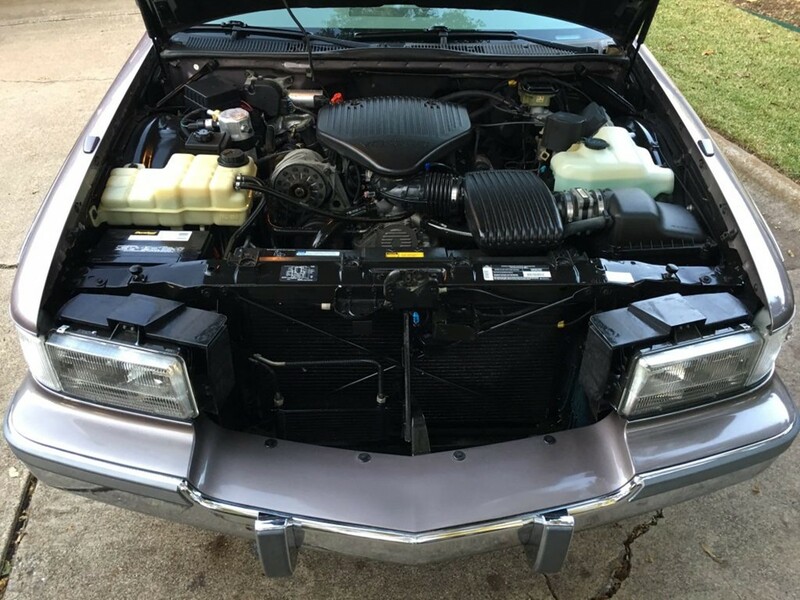 It does the ¼ mile @ 88 mph in just 16.1 seconds. 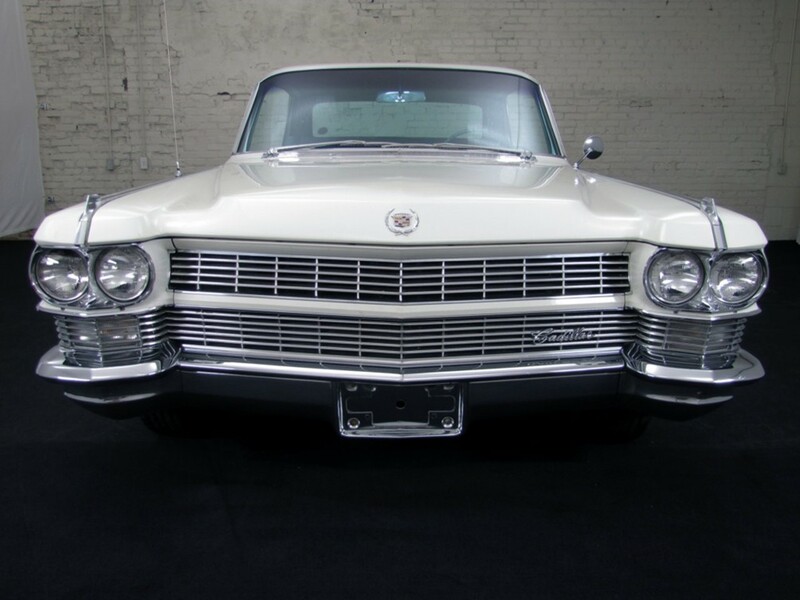 These specs are great when taken into consideration, this is a 4,506+ pound sedan. 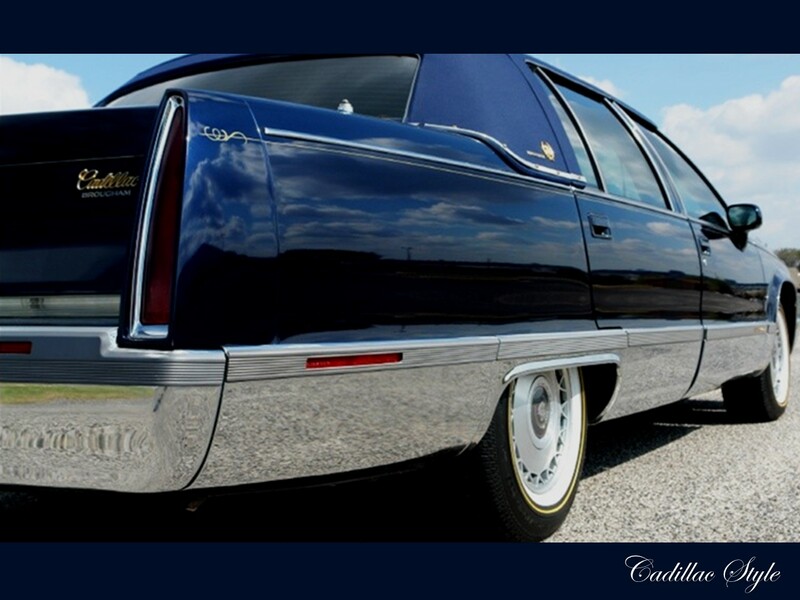 Fleetwood Brougham’s full-frame construction permits the traditional Cadillac build. 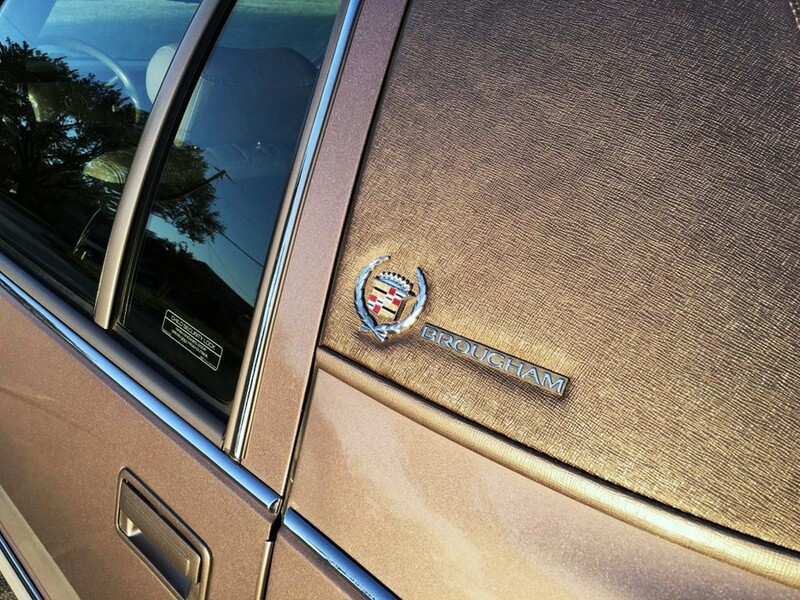 The “Magic Carpet Ride” was a signature Cadillac trademark. The 1994 edition uses the same logic. An independent front suspension has heavy-duty short/long arm upper and lower control systems. 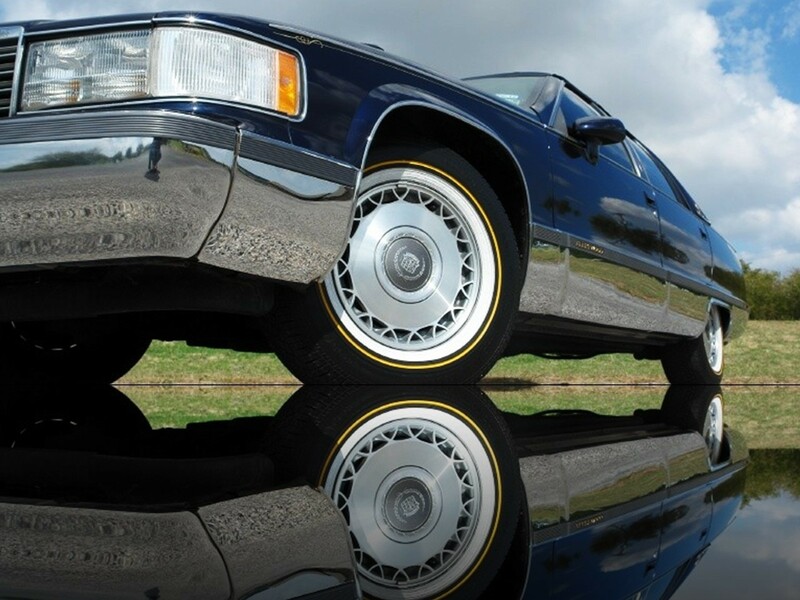 Brougham’s superior ride quality is further refined with coil springs, deflected-disc shock absorbers, and stabilizer bar. 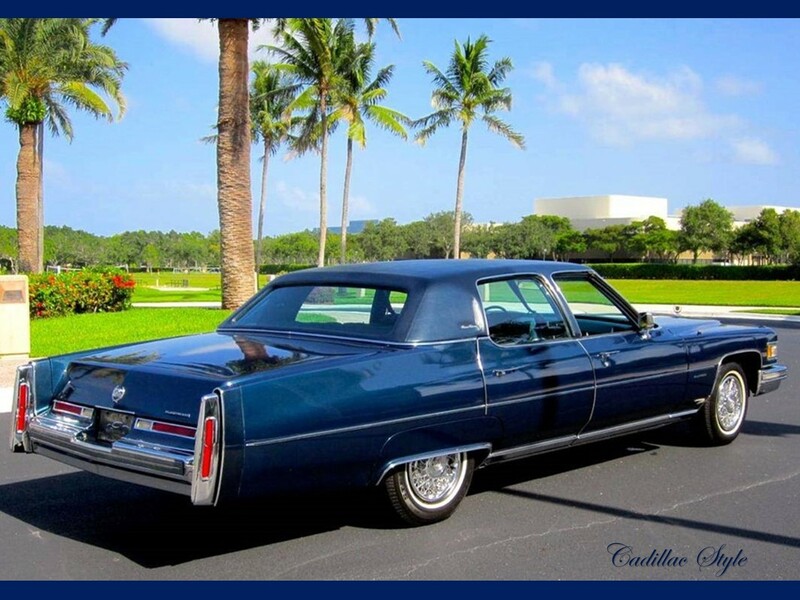 The rear suspension is Cadillac’s 4-link drive with coil springs and stabilizer bar. 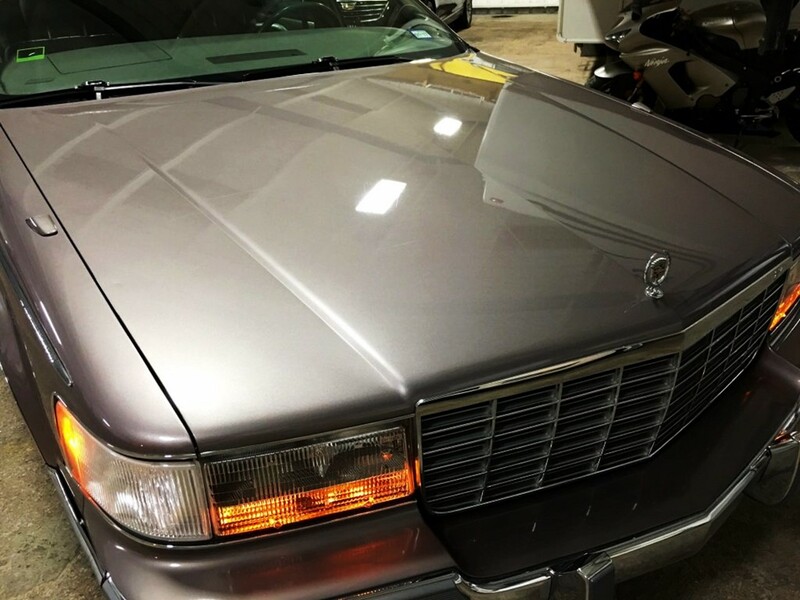 Standard, is Cadillac’s exclusive Electronic Level Control that automatically calibrate the car’s ride height to maintain optimum poise under any road or load condition. ASRIIU full-range traction control with throttle relaxer aids its overall operational stability. Also standard is a Bosch ABSIIU three channel anti-lock braking system with power disc brakes fitted to the front axle and power assisted drums fitted to the rear axle. Many thanks to Jim Hailey! 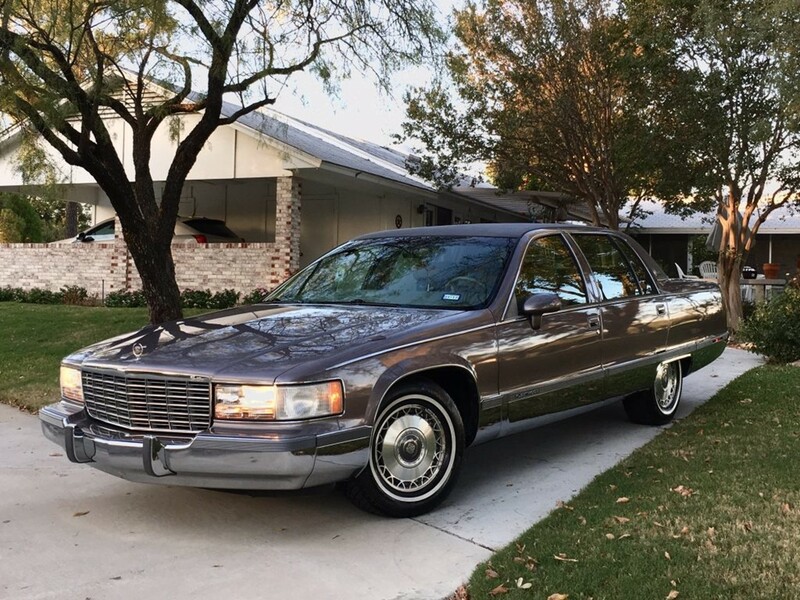 I would like to know if is possible to purchase any of these Cadillacs that are in this video. These cars in these years are still my favorite cars even today. 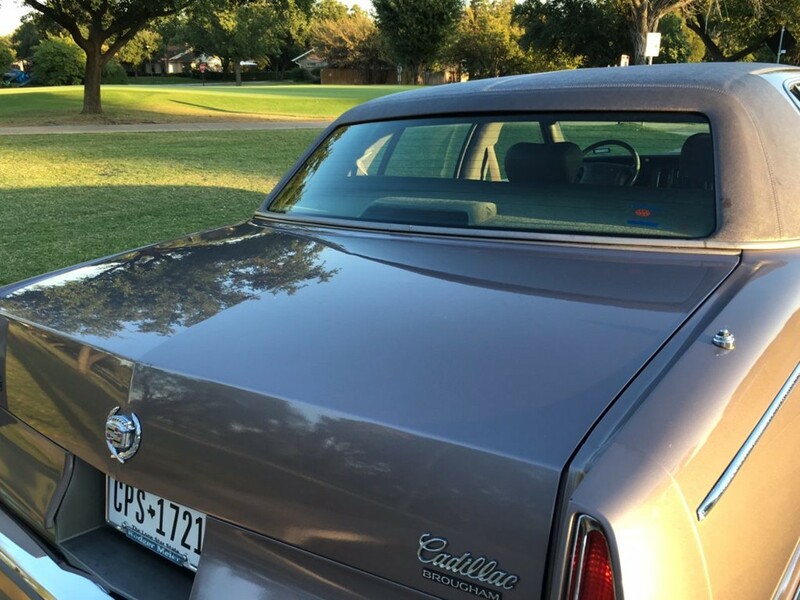 If none of these cars are available to purchase, could you share a website or websites that are similar to this one and that offer cars for sale. Thank you in advance for any assistance. Sincerely, Brian.